You can view them as you want based on how do you format the cells. 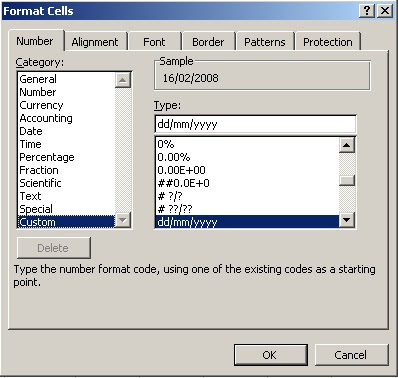 There are predefined date formats available when you choose format cells option. However you can use custom format option to display dates if available formats does not serve your requirement. 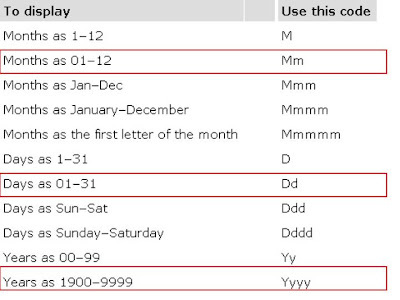 You can choose following codes or combination of it to view date in excel as you want. I have used highlighted codes dd mm yyyy with "/" to show today's date as 16/02/2009 in above screen. You can use any of these code singly or jointly with any character in between.